PepperTap comes to my rescue!! I had a party at my house and didn’t know how to manage things. I already had a million things running in my mind – guest list, grocery shopping, return gift, cooking, cleaning, arranging things etc….I didn’t know how to manage everything within the short span of time. That’s when I tried my hand at the seemingly magical app called PepperTap. Someone had earlier recommended PepperTap to me but I had not used it till now. I thought I was so preoccupied with so many things that this could be tried out now! And PepperTap promises to delivery everything within 2 hours. That was just the thing I wanted to hear! Isn’t that amazing? So I immediately picked up my smartphone and downloaded the app. It had 7 broad categories- food and drinks, fruits and vegetables, breakfast and dairy, staples and spices, bath and body, home and hygiene and baby needs. 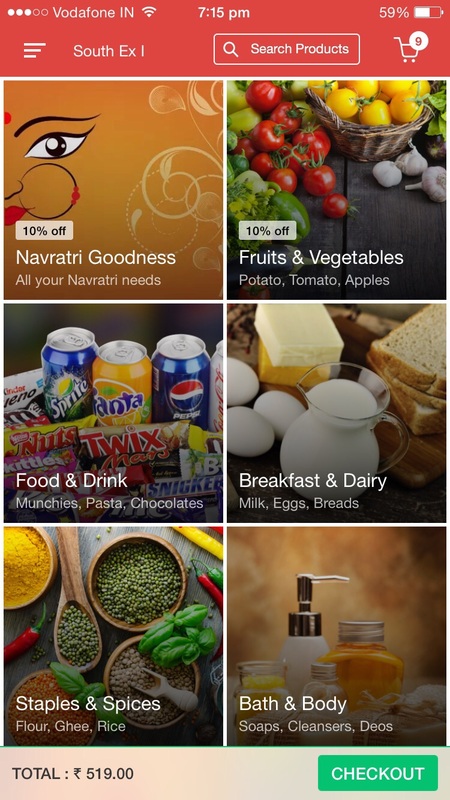 I immediately pounced upon the section called food and drinks and I must say the app was quite convenient and smooth. For me, design and user-interface are the most important elements of an app. And after using PepperTap’s app, I would like to mention that the design is really simple, user-friendly and easy to use. The app was fast to load and you can navigate smoothly. The user interface of the app is very simple, you select your locality and then you can select the stuff you want from the various categories. Adding or removing stuff from your order is simple one click affair. 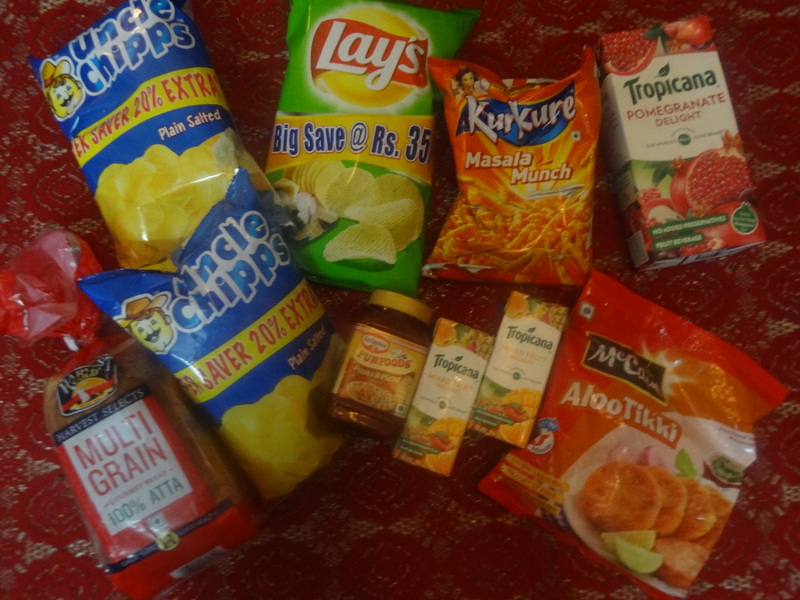 I ordered Smiley’s, pasta sauce, chips, juices and bread from the wide variety for options to choose from. I was amazed to see that the order came in less than an hour. 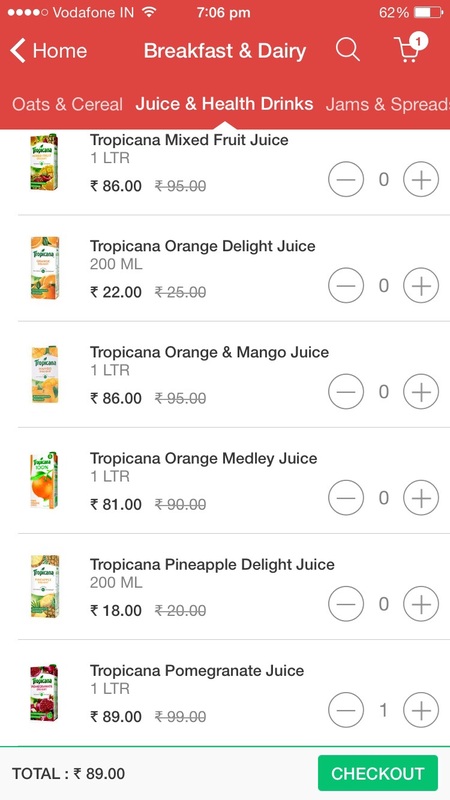 I can proudly say PepperTap is changing the way people buy groceries by replacing visits to the super market with a few taps on phone. Actually it also means that you have more hands now and you can do so much more in the free time you get. So it’s time to say au revoir to our neighborhood Kirana stores and a big hello to PepperTap! !